I think there are not Three Ways of Devops but five Ways. The novel The Phoenix Project was intended to be a way of selling and educating us on the concept of Agile, Lean and DevOps, but it is such a brilliant book that it created a new model of its own along the way, known as the Three Ways. Reduce the level of process and hand it to the people. I've been involved in enough ITIL adoption efforts to know they don't all work. Mostly that is because they are done to people, not by people; and they micro manage people as clerical workers instead of empowering them as knowledge workers. Does DevOps eliminate any ITSM processes? 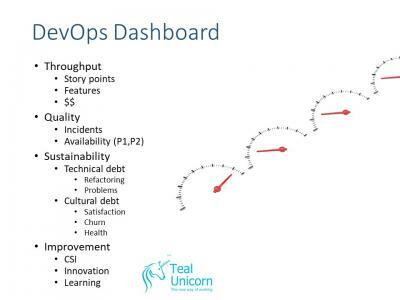 "there’s a gaggle of ITSM processes involved in delivering a solution, from biz requirements to live operation... does DevOps actually eliminate the need for any of these processes?" Activities don't go away. We do them differently. Having said that, there are some huge transformations. There is a tension between the higher levels of velocity which are achieved by extreme standardization and pursuing the manufacturing perfection; versus the agility and improvement - the ability to learn, experiment, and change - which comes from retaining flexibility and variance. When we impose fixed time, money, and deliverables, which is the classic project management formula, then the only variable available to a project manager is the quality of the outputs.